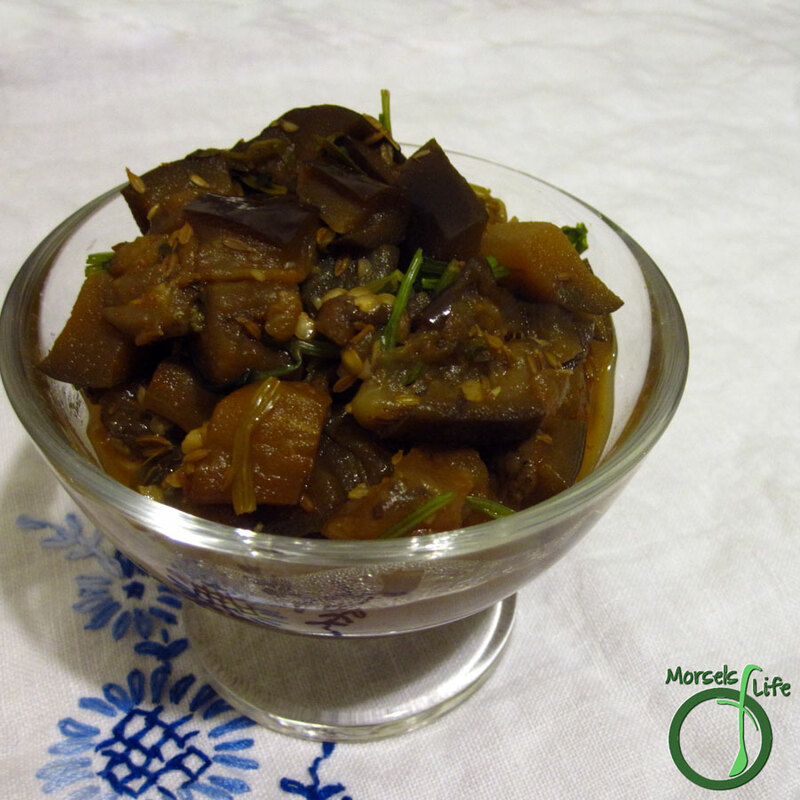 A warm and comforting eggplant dish in the Moroccan style, flavored with garlic, cumin, paprika, and cilantro. James and I have admittedly had a love/hate relationship with eggplant. We've had the pleasure of enjoying it made well, but we don't have a wide range of dishes with eggplant as the centerpiece. James often jokes, "Eggplant just refuses to be delicious." The challenge seems daunting; if you cook it too little, you're condemned to eat rubbery chunks with even tougher skins. If you cook it too much, you have soggy veggies drowning in whatever unfortunate sauce you've used. Until now. Say "Hello" to eggplants, Moroccan-style. Until now, I had limited my culinary styles to American and Asian, where I felt most at ease, but I decided to step out of my kitchen comfort zone to consider Middle Eastern and North African flavors. The results of this Moroccan-style eggplant pleasantly surprised me, and we finally enjoyed a unique eggplant dish with new and fanciful flavors. Do you have a love/hate relationship with any food? Cook all materials except cilantro, water/stock, and eggplant in a small amount of oil until fragrant. Add in eggplant and stir around so it's well coated. Add water and cilantro, and cook until eggplant reaches desired tenderness.